CHAMPAIGN, Ill. — A new interdisciplinary graduate degree from the University of Illinois seeks to arm future global brand leaders with the latest methods, techniques and strategies to market, advertise and deliver brand communications across diverse multimedia and technology channels. 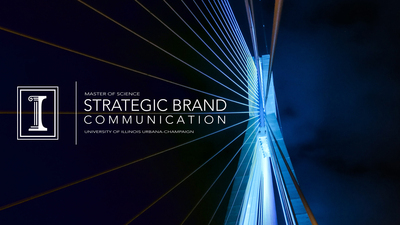 The online master’s degree in strategic brand communication, a unique joint program between the Urbana campus’ College of Business and College of Media, aims to prepare the strategic leaders of tomorrow in an ever-changing global digital-media environment. “Executives today need to learn the latest techniques and strategies to market, advertise and deliver brand communications across multiple channels in order to grow revenue effectively. 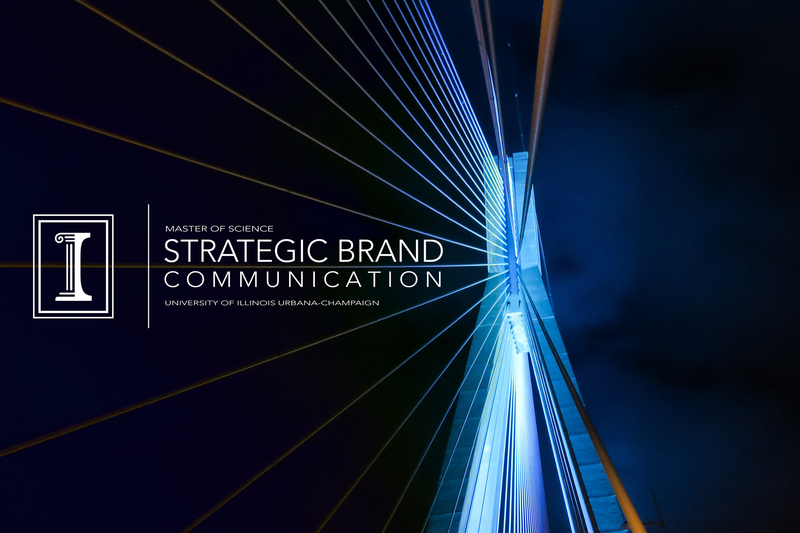 This degree in strategic brand communication will help today’s professionals become the best in the field,” said Jeffrey R. Brown, the Josef and Margot Lakonishok Professor of Business and the dean of the College of Business. The degree, which will be offered as a joint program between the department of business administration in the College of Business and the Charles H. Sandage Department of Advertising in the College of Media, will allow students to gain deeper knowledge of how to strategically lead global brand communications across advertising, media and marketing channels to drive revenue growth. Effectively reach and engage consumers through content and messaging. Refine data analytics and integrative capabilities to maximize results. Respond effectively to new technologies, emerging media and market trends. Leverage digital, social media and mobile communications in a broader and more comprehensive business context. Acquire senior leadership and management skills to execute strategic success across teams. “This innovative collaboration taught by world-class faculty from business and media will prepare future brand leaders in the new digital age by offering courses in advertising focused on data analytics, interactive content and consumer insights, combined with business courses in management essentials, leadership and global consumer behavior,” said Dilip Chhajed, a professor of and the executive director of master’s programs in business administration. Students can complete their online degree in 15 months from anywhere in the world while working full time, so they don’t have to interrupt their career momentum. “If you are a working professional who wants to achieve excellence and advance in your current career, or if you want to earn this degree to change the direction of your career, this program can help you accelerate professionally,” said Jacqueline Hitchon, a professor and the department head of advertising. In addition to classes, students will be able to participate in industry workshops in which leading executives cover diverse topics including emerging technology, budgeting and financial management, revenue development, programmatic advertising, multicultural marketing, virtual and augmented reality, and consumer experience. “We are excited to welcome our first cohort of exceptionally talented students who have the potential to strategically lead brands into the future,” said Mary Lee Gilliland, the executive director of the program. The program has begun accepting applications, with the first class of students scheduled to begin in August. Editor’s note: For more information, contact Mary Lee Gilliland at 310-351-2340; email mlgilli@illinois.edu and visit the website.